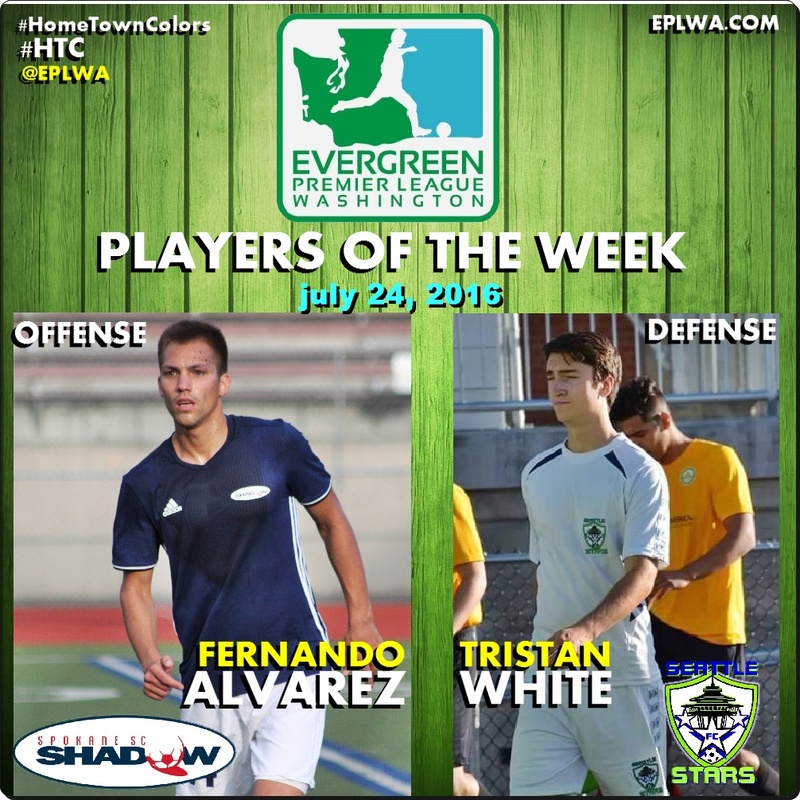 BELLINGHAM, WA— The Evergreen Premier League (EPLWA) announces that Fernando Alvarez of the Spokane Shadow and Tristan White of the Seattle Stars have been named the EPLWA Players of the Week on offense and defense for July 24, 2016. Fernando Alvarez of the Spokane Shadow scored four goals over one and a half matches of playing time last weekend. His hat trick on Saturday night in a 3-2 Spokane win in Vancouver prevented the Vancouver Victory from sealing the EPLWA title until the next day. Fernando becomes the first player this season to repeat as Player of the Week. He also got the honor back in May for scoring three goals over two Shadow wins. The next day the Shadow traveled to Wenatchee where they put a 6-0 pounding on the Capitals. “Fernando only played 45 minutes on Sunday, but continued to show his hunger and ability to score goals and add to the attacking success on the weekend,” says Brown. Seattle Stars have been looking for improvement on defense right up the middle. A few weeks ago Tristan White arrived on the scene and made an instant impression when the Stars beat Wenatchee at the Apple Bowl. 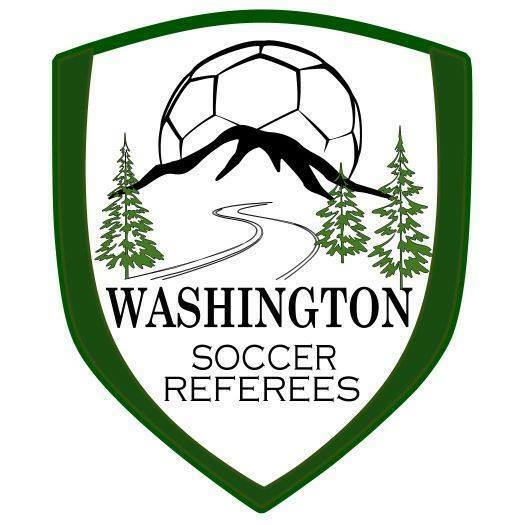 Last weekend he played a key role as Seattle shut out Yakima United 1-0 at French Field in Kent. It’s not easy to go up against Yakima’s Hector Valdovinos, one of the leagues all-time top scorers. “He played very well against Yakima, winning some one on one battles against strikers Valdovinos and Junior Garcia throughout the game,” says Sandoval. White played his high school soccer at Juanita, the same school the produced Tyler Bjork. Tristan has played two seasons of college ball at Dominican University in San Rafael, CA. The Evergreen Premier League will be selecting an offensive and defensive Player of the Week each week during the 2016 season. The Players of the Week will be acknowledged with a pair of custom, unique socks featuring the EPLWA logo. The socks are from Rock’Em Apparel, the Official Provider of the weekly reward. The league worked with Rock’Em Apparel to finalize the look of the socks. The league logo is complemented by a rendering of George Washington in the State seal. The phrase “Rock ‘Em” represents the willingness to achieve greatness; to go above and beyond limits,” says www.RockEmApparel.com. Evergreen Premier League players will work to do just that for their clubs this season. The best of the best will have cool custom socks to show off around town for their efforts.